When deciding what chores your three year old can handle, it can be hard to know what is right. It doesn’t even get easier as you have more children. It can be hard to remember what your other children did at age three. When child one was three, he seemed old. When child four was three, she seemed like a baby. You can easily require too much or not enough. I am always striving to make your life a little easier and to take the guess-work out of parenting. I kept track of things, and I have for you today chores your three year old can do. First, add to what your child is already doing. 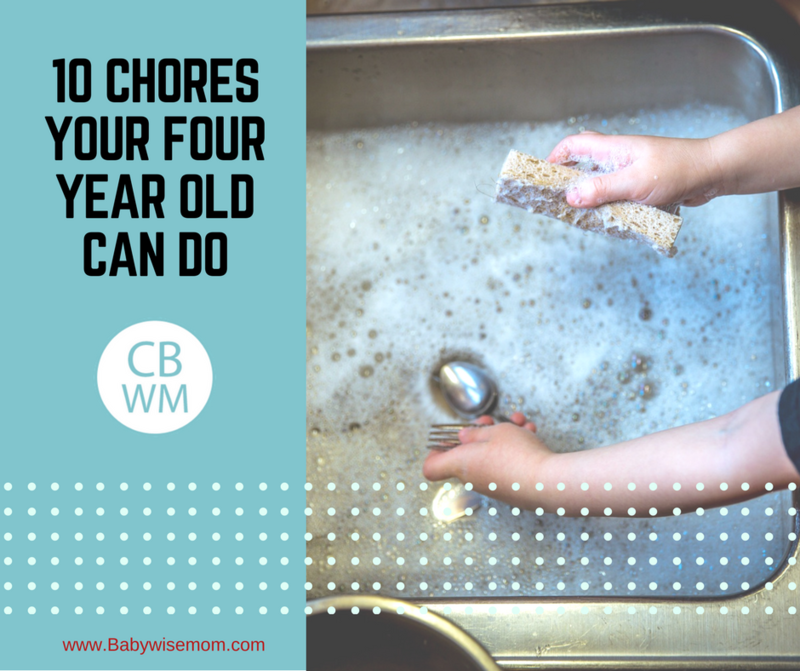 If your child hasn’t done chores yet, see my post on toddler chores – 12 Chores Your Toddler Can Do – and start with those ones. Now, let’s add to those. A three year old has more ability to do things on his own. During this year, he starts to really dress himself, buckle himself in, and can be trusted more to clean up after himself. Here are some ideas for three year olds. Some of these things were done by my children younger than three, and others closer to four. Always keep in mind that your four year old will not do these things incredibly well or fast, especially initially. If you are going to have your three year old dress herself, make sure you have allotted plenty of time for her to do so. The day you are in a rush is not the day to institute dressing herself. Also keep in mind that as you give your child more responsibility, you do it in small steps. The day your child turns three, or the day you read this for the first time, is not the day your child needs to take on all of these additional chores and responsibilities. Choose one to add at a time. Once your child is comfortable enough with that responsibility, add another one. Things are chores to add over the course of the year as a three year old. This is not a long list. 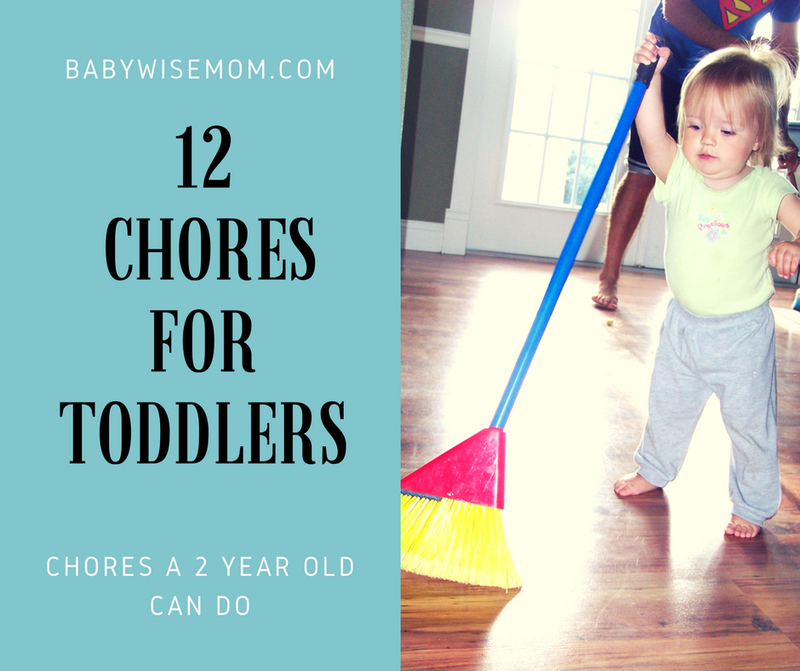 Remember we are adding to the list of chores we created for two year olds already. 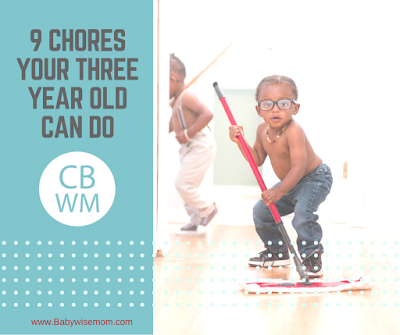 Now, when the child was two, the chores were looked at more as “helper.” As a three year old, your child can start to be more independent on some things. When my oldest was three, he was able to vacuum a small room well enough that I didn’t go over it later. Look over your two year old list and find things you can start to expect your three year old to be independent with. my daughter also restocks the paper napkins that we use at the dinner table, helps unload the dishwasher (silverware and things that are her height), puts away laundry that has been sorted for her into like piles, straightens up the living room in part (putting away people's shoes or books). She also loves washing easy dishes, helping with meal prep, clearing the table, putting the clothes in the dryer, mopping with a swiffer, wiping surfaces. She thinks of these things as "play" (for now!) so we try to encourage them. She's our baby and loves hanging out with me and wants to "be a mom" when she grows up so we're going with it! Might be too much for other kids, though! Those are great! 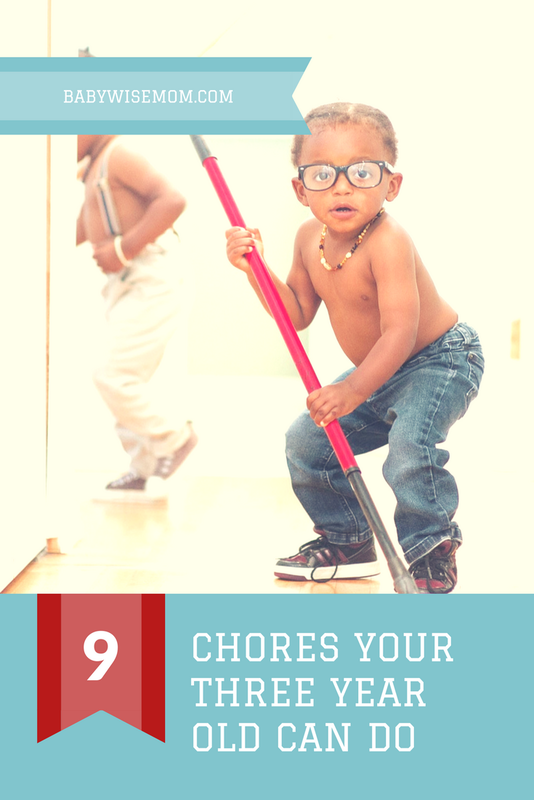 A lot of what you listed is included in the list for toddler chores. How cute that she wants to be a mommy! That is what Brinley says, also.